Calvinism research papers look into one of the major branches of Protestantism, and trace its theology from the work of John Calvin. 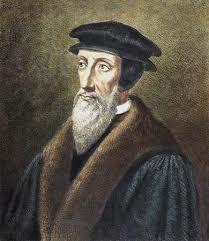 Calvinism is one of the major branches of Protestantism, tracing its theology from the work of John Calvin, who differed from Luther on several major points. The term “Calvinism” was applied to several movements by opposing Lutherans, including those led by Ulrich Zwingli or John Knox. The largest Calvinist association today is the World Communion of Reformed Churches, which includes 211 denominations. Theologically, Calvinism can be said to date from Calvin’s major work Institutes of the Christian Religion, published between 1536 and 1559. Calvin, and those who followed him, believed that God communicates directly to man through the Word of God, which includes both the person of Jesus Christ and the Bible. Calvinism also holds that, although people are good and created in the image of God, they have been corrupted by sin. Only those who have faith in Christ can receive salvation instead of punishment for sin. Another major component of Calvinism is the idea of predestination. Under this doctrine, God has chosen an elect to receive salvation, while others will be condemned to damnation. Calvin believed that God predetermined all events. Human beings do possess free will, but most remain bound by sin. Justification for salvation is by faith alone; there is nothing a person can do to alter his or her fate. Christ’s atonement applies only to the elect, and not all of mankind. Paper Masters writes custom research papers on Calvinism and look into one of the major branches of Protestantism, and trace its theology from the work of John Calvin.